연천은대리성에 대한 기록은 거의 남아있지 않으며, 1995년도에 발간된 『연천군사료집』에 의해서 처음 알려지게 되었다. 그 후 1995년부터 2003년사이 지표조사 및 발굴조사가 이루어지면서 고구려토기 일부가 발견되는 등 고구려를 중심으로 한 삼국시대 성으로 추측된다. 은대리성은 한탄강 장진천의 합류지점에 형성된 삼각형의 하안단구 위에 축조된 성으로 한탄강과 합류하는 곳이 삼각형의 꼭지점을 이루고 이곳에서 동쪽으로 가면서 점차 넓어지는 형태이다. 남벽과 북벽은 각각 단애를 활용하여 성벽을 축조하였지만 동벽은 동쪽에 형성된 개활지를 가로질러 축조되었다. 크게 내성과 외성으로 나누어지는데 외성은 현재 길이 약 60m정도 동벽이 형태를 유지하고 있으며, 남벽은 한탄강에 접하여 50~60m정도의 수직단애에 축조되었고 북벽도 15~20m정도의 단애가 급경사를 이루는 지역에 축조되었다. 외성의 전체 규모는 동서 400m, 남북 130m, 총길이 1,005m 정도이고, 현재 동벽에는 남쪽과 북쪽에서 성으로 진입할 수 있는 진입로가 개설되어 있다. 내성의 총길이는 230m이며 외성과 유사한 삼각형의 평면형태로 축조되었고 내부 시설물로는 문지 3개소, 대형건물지 1개소, 치성 2개소가 확인되었다. 연천은대리성은 연천호로고루, 연천당포성과 함께 임진강과 한탄강이 지류와 만나 형성하는 삼각형의 대지위에 조성된 독특한 강안평지성(江岸平地城)으로 임진강이 국경하천역할을 했던 삼국시대와 밀접한 관련이 있고 학술적으로 가치가 높은 귀중한 문화유적이다. There are very few records about Eundaeriseong, whose existence first became known in a report titled Yeoncheongun saryojip (Records of Yeoncheon-gun) published in 1995. 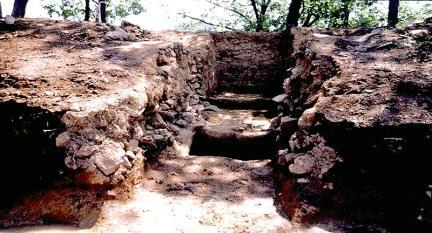 The surface survey and excavation carried out between 1995 and 2003 unearthed pieces of Goguryeo earthenware, indicating that the fortress was built by Goguryeo in the Three Kingdoms Period. 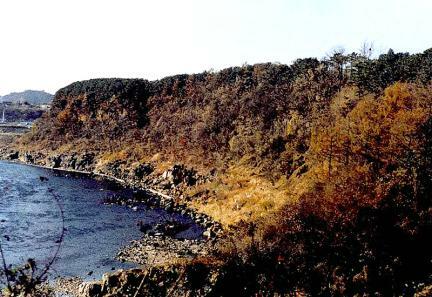 Eundaeriseong is built on a triangular piece of terraced land formed where Jangjincheon Stream joins Hantangang River. The place where the streams join forms the point, and the land gradually becomes wider as it heads east. 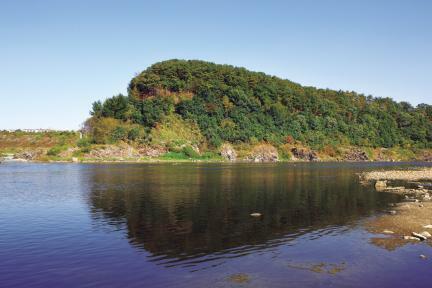 The south and north walls were built by making use of the cliff, with the east wall constructed across the open land to the east. The fortress can be divided into the inner fortress and the outer fortress, and some 60m of the east wall of the outer walls remains. The south wall is beside the Hantangang and is built on a cliff some 50-60m high; the north wall is also constructed on a cliff 15-20m high. 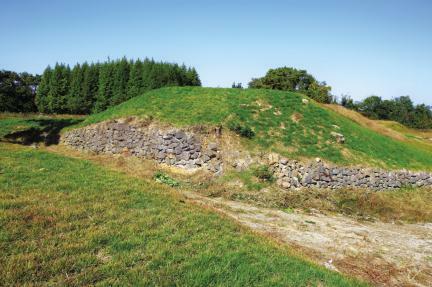 The outer walls measure 1,005m, with the wall running east to west measuring 400m, and the wall running north to south, 130m. On the east wall are entrances where the fortress can be approached from the north or the south. With total length of 230m, the inner fortress is built in a triangular shape similar to the outer walls. Facilities inside the fortress include the sites of three gates, one large building, and two square bastions. Along with Yeoncheon’s Horogoru Embankment (Historic Site No. 467) and Dangposeong Fortress (Historic Site No. 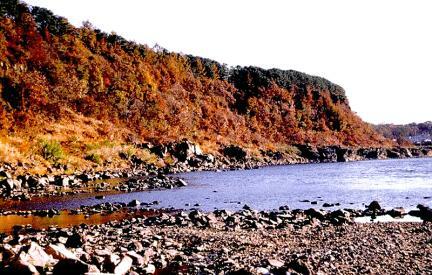 468), Eundaeriseong is a unique riverside flatland fortress located on a triangular piece of land formed where the Imjingang and Hantangang rivers meet. 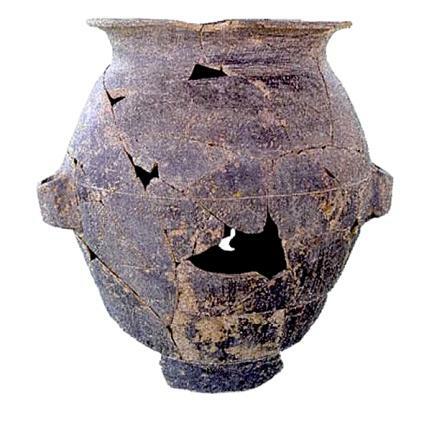 It was vital during the Three Kingdoms Period when the Imjingang served as a water boundary and is consequently a very important cultural relic academically.